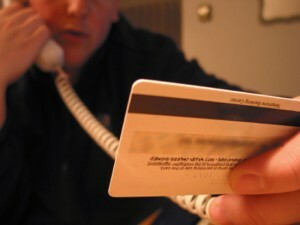 Did you know that 82.6% of consumers are using the wrong credit card for their circumstances? But why is this? People tend to stick to the card they already have and the provider they know. This is fine as it makes life easier, but it also means that consumers are not getting the best deal on their credit cards. UK consumers spent about £501.6 billionpounds on debit, credit and charge cards in the last year. Almost all of these purchases could earn rewards and cash-back at a typical return of 1% totalling £5.2 billion if consumers were using credit cards which earn cash back. Credit cards are by far the best way to borrow money under £5000, if the right deal is used. Have a look at the credit cards you have in your wallet. Do you know what interest rates you are paying? What deal you’re on? Do you get cashback on your purchases or any other rewards? If you’re not sure, or you know but don’t think it’s a very good deal, now is the time to compare your credit cards. It’s easy to switch credit cards too. You may be worried about outstanding balances on your existing cards. Typically, these balances can be transferred to your new credit card which means that you can cut up your old card and start using the new one in exactly the same way as you are used to, but hopefully earning cashback for your purchases and paying off your balance at a lower interest rate. Some people constantly switch credit cards, taking advantage of deals offering 6 months interest free credit – then once the 6 months are up, they switch credit card to another one offering the same deal. In this way, it is possible to pay little or no interest. These consumers are few and far between – only because it takes forward planning. Write the date on your calendar when you want to look at switching your credit card – every 6 months to a year is a good idea to make sure you’re always on top of the best deals available.